The Peeper Corp., Ltd. is committed to preserving and safeguarding your right to privacy online. 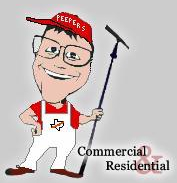 when you visit The Peeper Corp., Ltd.
to contact us directly at peeper@peepercompany.com. 1. What information does The Peeper Corp., Ltd. gather when you visit? 2. How is your data protected? 3. What about links to other web sites? 4. What if I have more questions about privacy, company, or web site? What information does The Peeper Corp., Ltd. gather when you visit? more information concerning our product or services. We only gather the information that is absolutely necessary to provide you with the service you have requested. or rent your personal information with any outside entity. The Peeper Corp., Ltd. is committed to the security of information collected on our site. Please note that at sometime we may offer links to other third party sites and services. and The Peeper Corp., Ltd. has no responsibility or liability for these independent policies or actions. What if I have more questions about privacy, company, or web site? or your experience with this web site, please contact us at peeper@peepercompany.com.